Enphase Energy IQ6 Series Branch aggregator can be used in any angle up to 45-Degrees from horizontal. 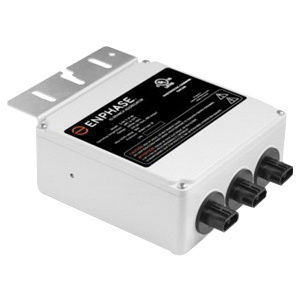 This 1-Phase aggregator has NEMA 3 enclosure for protection. It is suitable for Enphase IQ system. The branch aggregator is UL1703, EN62109 and UL6703A listed.